Despite my penchant for all things stitch-related, I have never before been to a craft-related exposition. The Knitting & Stitching Show runs a large event at Alexandra Palace, London every October and a smaller, sister event at Olympia in March. The lure of cut-price tickets led mooncalf and I to go and investigate, investigate being a thinly-veiled guise for ‘shopping’. On the shopping front, we were a little disappointed. The merchandise on offer seemed (perhaps unsurprisingly) aimed more at the elder lady, with floaty tops and chocolate-box tapestry kits available in abundance, but relatively little for the youthful craftster. Artisan spinning fibre was at the top of my shopping list, but I only found one stall selling fibre, and it was undyed. Bargains were also anticipated but were not forthcoming – we heard that the cost of stalls was relatively high, which goes some way to explaining this. That said, we did not leave empty-handed. 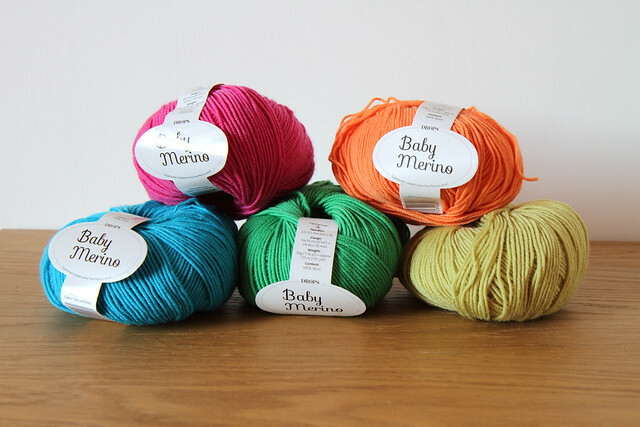 One bargain I did managed to find was this Drops Baby Merino yarn at just £3 per ball. It’s bouncy, superwash, extra-fine merino and these candy colours will be perfect for the Tuva Pullover in my queue. 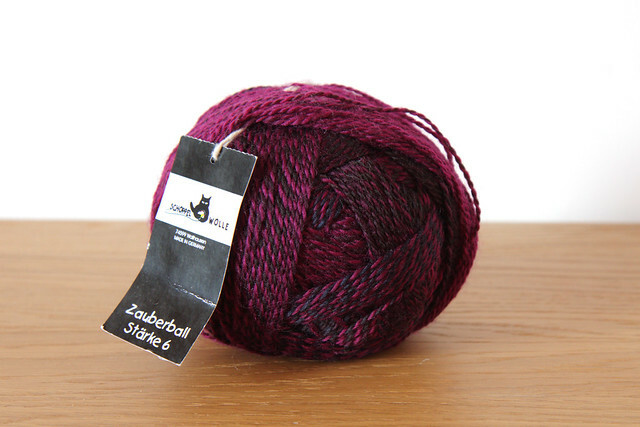 Another exciting find was the fabled Zauberball sock yarn. I have been a long-time admirer of Ravelry stash photos but never seen any in the flesh before. This is a 150g ball of the sport-weight variant, which make a generous pair of socks. But there was plenty more to see beyond yarn. 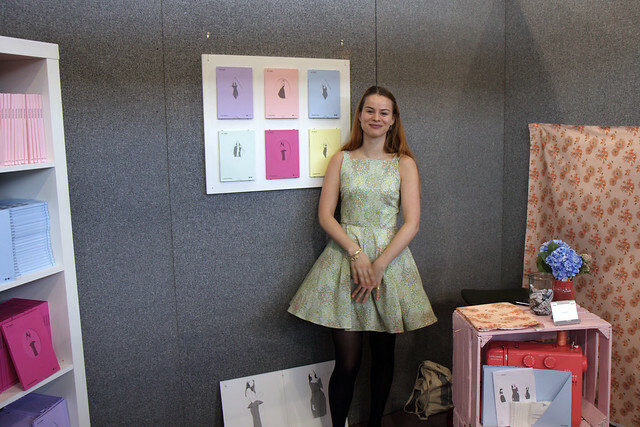 Sewing pattern start-up By Hand London were there showing off their latest beautiful garment patterns and fabulous fabric. Their Eliose design launches their expansion into the world of fabric. Its innocent-looking floral motif is not as it demure as it first appears – they’re actually little monsters! Exciting times are afoot for By Hand London, they have just launched a Kickstarter project to bring fabric print on demand to the UK, with some superb rewards available including sewing workshops, dinner & cocktails, and the chance to have fabric printed with your own design before anyone else. Be sure to make a pledge and help make it happen! 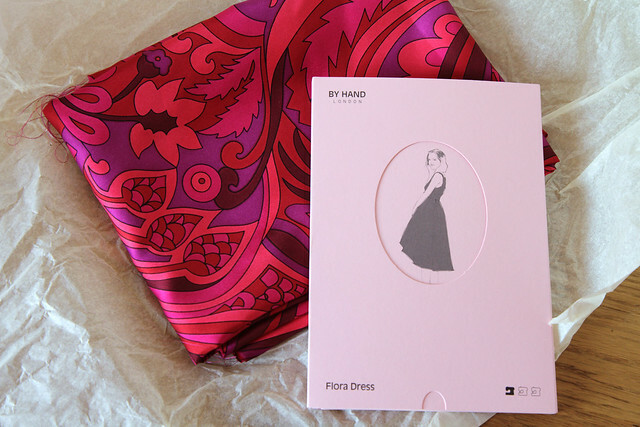 By Hand London co-founder, Charlotte, was kind enough to give me a copy of their new pattern, the Flora Dress. Shortly afterwards the perfect fabric caught my eye. This stunning Pucci -inspired silk twill fabric from Til the Sun Goes Down was a bit of an extravagance, but I’ve literally never seen a fabric that’s more “me”. Not a bad haul at the end of the day. I was disappointed at the lack of fibre, but satisfied my cravings with a visit to Spin City’s Etsy store. Completely justifiable, I’m sure you’ll agree. Stunning pictures, I couldn’t make it so thanks for sharing. I’m off to check out the links now!